I love food. You love food. We all love food. The terrible thing is that we all love food a little too much and we waste it; we don’t waste just a little bit, but we waste A WHOLE LOT of it. 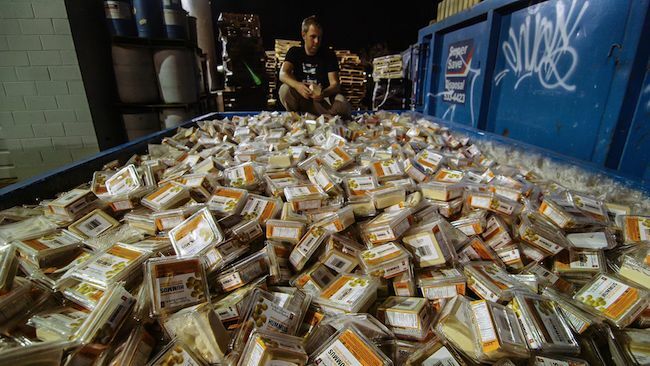 After catching a glimpse of the billions of dollars of good food that is tossed each year in North America, Grant Baldwin (Director) and Jenny Rustemeyer (Producer) take on a challenge to see how much food is actually being wasted. The two pledge to quit grocery shopping and survive on discarded food only, and what they find will make you reevaluate your entire fridge. In Just Eat It, (2010 saw the release of The Clean Bin Project, in which the two battle one another to see who could produce the least amount of trash for 1 year), the two challenge themselves to survive for 6 months on food waste. The rules implemented by the couple seems relatively straight forward right? The only food they can consume is 1) food that has been discarded and 2) only able to eat what friends and families serve them. “Dumpster diving,” “Free eats,” or what I usually say when I find something in the trash, “who would throw this away!? It is still totally fine,” Just Eat It shows just the amount of food that is discarded and wasted. The film does a phenomenal job discussing the reasoning and the whys as to how we have come to this seemingly unsolvable problem. They discuss how after WWII, food proportions have sky-rocketed and how the idea of food abundancy and having an absorbent amount of food is better than having just enough food. In the film, this leads to discussion of the prevailing consumer obsession with the “aesthetic appeal” of merchandise, as evidenced by an American peach-packing plant, where sorting standards seem on par with those of a beauty contest. 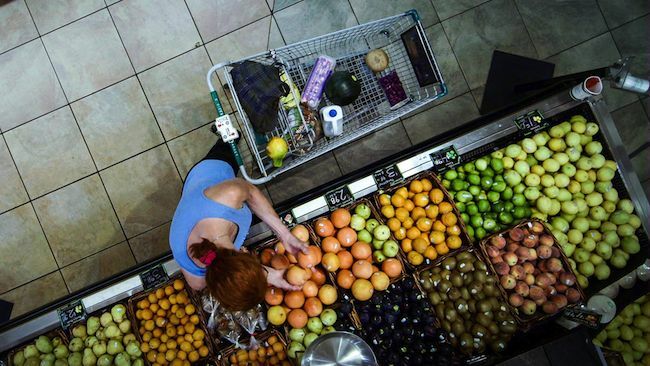 Throughout the filming of the dumpster diving escapade, it occasionally cuts to talk to various farmers, food experts and activists who are not trying to dramatically change how we shop and eat, but to make the point that if we just change our perceptions of what we eat, then there will be enough food for everyone. The number we typically call an expiry date is actually addressing quality; it doesn’t mean that it’s poisonous or deadly or inedible afterwards. I really appreciated these short snips of data and information, which really help keep the film from feeling bogged down with somewhat depressing data. Baldwin and Rustemeyer have drawn attention to an important, yet constantly overlooked issue, and taught by example that a difference can be made simply by tweaking rather than revolutionizing one’s lifestyle. Over the course of the project, they managed to spend less than $200 to buy food and managed to find more than $20,000 for food. Hands down, one of the best documentaries I have seen in a long time. Definitely be sure to check it out. Excuse me now, while I go looking through my local grocery store’s dumpster for some of that artisan chocolate.